Shmee Got An ASUS Radeon R9 280 DirectCU II! I got the last major piece of my computer upgrade, a new video card! 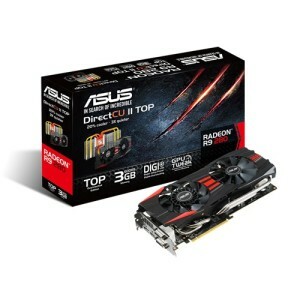 I got an Asus Radeon R9 280 DirectCU II (say that three times fast). This thing is a beast. It runs all my games on Ultra at over 60 frames per second, though full disclosure my monitor’s resolution only goes up to 1680 x 1050, so it is not a full 1080p. It is also massive! It is like a foot long by half a foot tall. If you are going to get this card measure your case first because it barely fit in mine. It only had a couple millimeters to spare. It is also very quiet. When this card is running flat out it barely makes a sound, which is a big step up from the card I was barrowing from my brother that sounded like a jet engine. It is amazing that it can be that quiet while keeping my card nice and cool at under 70 degrees Celsius. Like I was saying before my games run great. I get over 80 frames per second on Ultra in Sniper Elite 3, Bioshock Infinite, and The Witcher 2. I get 45-60 in Crysis 2. It is just crazy how much better the games look with a good video card. I can’t wait to see how it handles other games! The card is already overclocked from the stock 933MHz to 980MHz, but the Asus GPU Tweak utility makes it really easy to take the card well over 1000MHz to get those extra few frames. Since I don’t have a totally HD monitor (maybe something to save for, but I really can’t tell the difference anyway), I don’t need to do it, but it was fun to play with. Plus then you get to say you have an overclocked video card, so all the kids will think you are cool. All that power makes it very thirsty. It needs an eight pin power connector and a six pin power connector, so make sure you have a big enough power supply. I would say at least one over 550 watts. If you haven’t guessed. I love this card, and I think if you are building a new rig or upgrading an old one, you will love it too. I use Asus in all my builds, and due to the quality of this card I will continue to do so. Time to go play more games! Previous PostPrevious Need A Show For Summer? How About Orphan Black! Next PostNext Geoff Johns Broke My Heart!